Thanks to Chad at www.dtlive.com.au, we have a table that features all of the AFL Fantasy scores and time on ground from the NAB Challenge including points per 100m. Filter by whichever heading you would like. 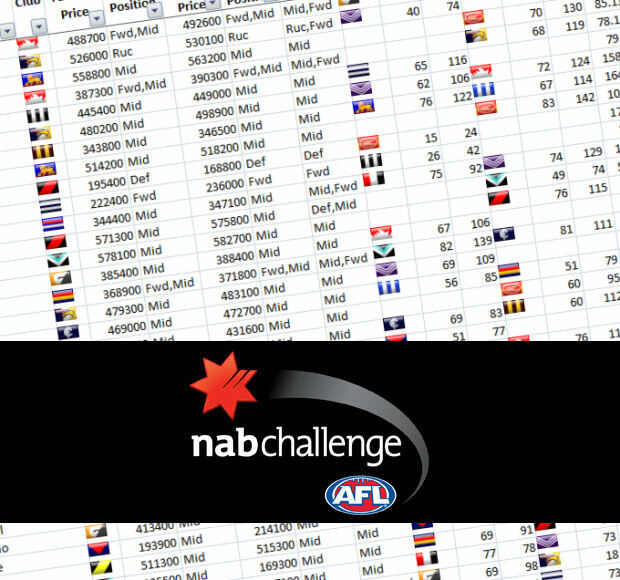 Huge thanks to Chad at www.dtlive.com.au for this table with all of the NAB Challenge scores, time on grounds and the points per 100 mins figures. On a mobile? Click here to view in landscape on phone for best results. Having a resource such as this is absolutely invaluable! Focus on the TOG%, people!!! Great work Chad. Thanks for putting this together. This is GREAT, much appreciated. Thanks mate great effort but where the heck is Fuller for Bulldogs?